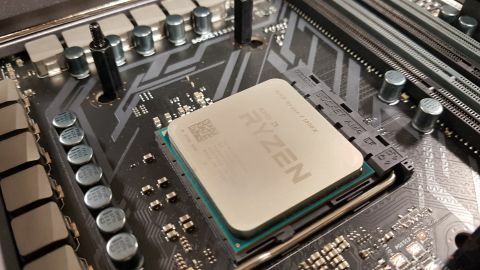 AMD’s Ryzen 7 series overall thrusts life back into the consumer processor market, toppling Intel’s incremental regime of the last six years. Having 8 core CPUs ready and available to the consumer, forces game developers and system programmers to approach software design in an entirely new way, offloading work that would traditionally be processed by the GPU back onto the CPU. On top of that, coupled with its insane pricing, you also get a chip that’s designed for both gaming at a mainstream level and producing content on a professional scale. Opening up game streaming, video rendering and a whole plethora of other working tasks to a far greater audience of PC enthusiasts than ever before. This is an entirely new core design, and as such there are bound to be chinks in the armour when it comes to just what we (and no doubt AMD) wished to see in this core. Namely that comes down to overclocking potential and temperatures. Although it's early days, amping up the frequency seems to ave very little effect, with only 100-200 MHz performance boosts possible amongst most of the chips we’ve seen so far. Additionally temperatures remain resolutely high, resting at 56-58 degrees at idle, yet capping out at a solid 73 degrees under load with sufficient cooling. Ryzen 7 as a whole is nothing short of phenomenal, with the AMD Ryzen 7 1800X (AMD’s flagship CPU) absolutely decimating the competition when it comes to price versus performance. Compare this chip against Intel’s Core i7-5960X/6900K and it’ll easily keep pace, with an even stronger single core IPC than its team blue HEDT alternative, which is no small feat for a core priced at £500 ($500, AU$800). That’s a £470 ($570, AU$750) difference between the two. Yes, you don’t get as many PCIe lanes, and yes you lose out on quad channel memory, but when companies such as Nvidia cripple SLI beyond two way support, and quad-channel memory has yet to make its debut into the mainstream consumer-focused market, the climate has never been better suited for AMD to launch a processor line quite like this. Overclocking isn’t great, and single core performance could be better (as it’s currently at mainstream Haswell levels of performance). However this is AMD’s first venture into the 14nm manufacturing process, with an entirely new chip design. And with Ryzen 2 and Ryzen 3 already well into their development cycles, these are kinks that can be ironed out in later iterations. With AMD’s Ryzen 7, whatever your stance, AMD has brought choice, has brought competition, and has brought life back to the processor market.